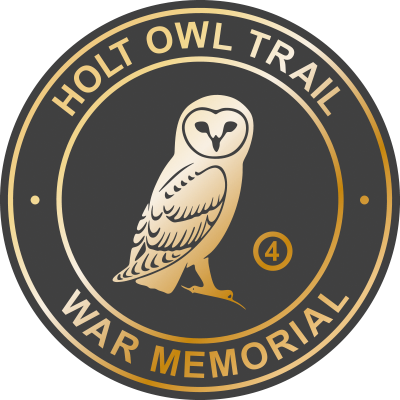 The War Memorial was designed and built to commemorate the names of the fallen in the 1914 - 1918 Great War and the 1939 - 1945 World War. It was unveiled on 29th May 1921. 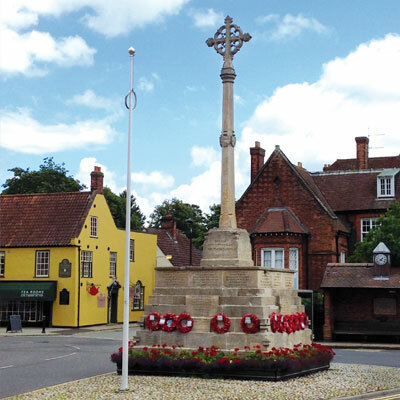 The Grade II Listed memorial is a Clipsham stone cross which is on a large seven-tier square base and square plinth. 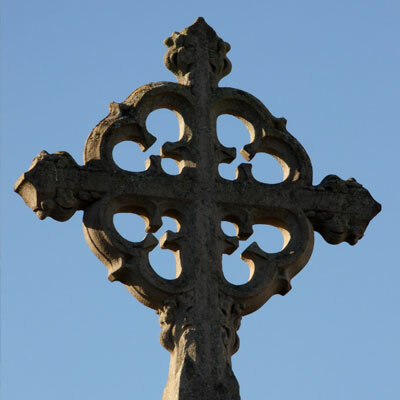 The cross is decorative and has a carved trefoil between the arms of the cross linking them. 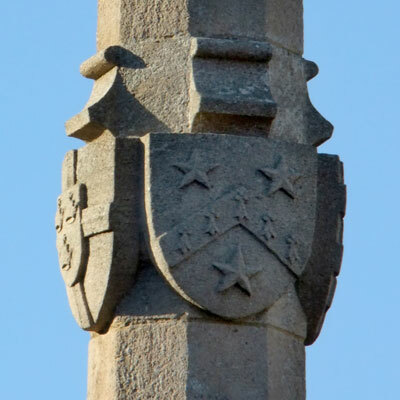 Amongst the four shields centrally placed on the tapered column is one featuring three stars and an ermine chevron commemorating those from Gresham’s School who were killed on active service. 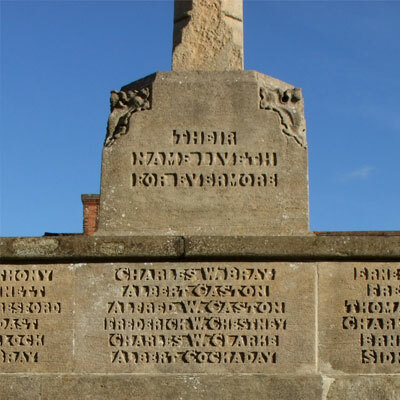 An inscription was subsequently added for 19-year old Private Edward Farrow of the Royal Norfolk Regiment who died in the Korean War in 1952. 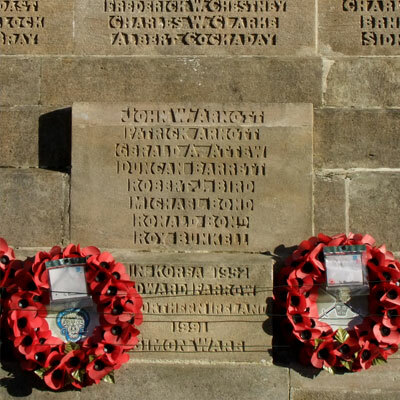 The most recent inscription is the name of Simon Ware, a Lance Corporal in the Coldstream Guards who was killed in 1991 while serving in South Armagh, Northern Ireland.